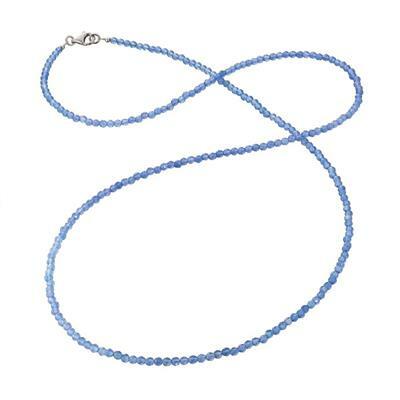 From Englesrufer, this Blue Beaded 80cm Necklace is a perfect necklace for layering. Pair this necklace with others from the Englesrufer collection to add a stylish layered look to any outfit. The Englesrufer Blue Beaded 80cm Necklace is delicately crafted with Blue coloured Agate beads and is a perfect gift for the special person in your life. This necklace has a Sterling Silver plated clasp.